Many people who visit Japan for a short time (excluding business trips) are there to see the sights and enjoy the wonderful array of foods the country has to offer. The first time I visited Japan, over 10 years ago, those were my main goals as well. But if you’re heavy into Japan’s culture and language, you’ll want to take advantage of the many opportunities to brush up your Japanese while your travel. In this post, I’ll give a few suggestions to help you do this, targeting from beginner to more advanced students. Feel free to skip over those suggestions which are beyond your current level. Traveling around Japan, whether it’s in a Taxi, train, or on foot, provides a great many chances to practice reading. Even you only know Hiragana and/or Katakana, you’ll find enough words on billboards, signs, and other places to get in practice almost anywhere. While moving, you’ll be forced to speed read quickly passing text, which is in itself is a great opportunity to improve reading speed. I’ve noticed that even though I can read through novels (with some effort), my speed reading abilities are quite bad, and I feel that forcing yourself to read every billboard you come across will really help train such a weakness. Compared to reading a book with nothing but words, out in the real world you have extra contextual information to help make sense of things. For example, when scanning a menu in a restaurant you’ll be able to guess certain things even if there are some Kanji you aren’t too familiar with. On billboard advertisements, there is usually one or more pictures or diagrams to help in your understanding. At places like train stations, there are certain words you’ll see over and over, and if you force yourself you read them once they’ll be easier to pick up the 2nd and 3rd time, word like きっぷうりば and 改札。The only bad thing is that most place names are also written in English, and it’s hard to keep your eyes from glancing and cheating. But this is a useful way to learn Kanji readings of places without having to constantly look them up in a dictionary. For improved retention, try to match up each Kanji with the one or more sounds it represents. For example: 浅 (あさ）草（くさ). If you are stuck on the train for a while you can also practice repeating the names of each station that you pass, trying to match the announcer’s voice a close as possible including the pitch pattern of each word. 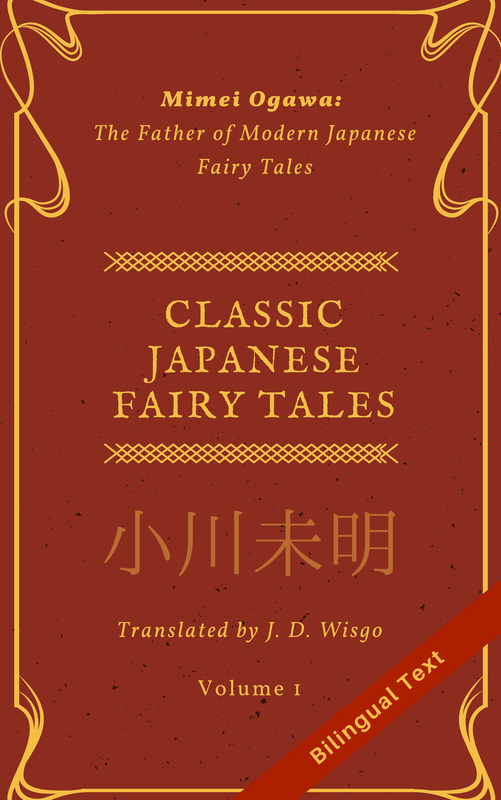 In this day and age you can purchase practically any Japanese book online, but visiting stores in person gives the unique opportunity to quickly peruse the titles of hundreds of books. For those you are interested in, you can read the marketing blurb on the back, or even flip through a few pages inside. Places like convenience stores can be surprisingly educational as well, since you can get reading practice on their product names and descriptions as well/. One of my favorite ways to make great use of time when relaxing in a hotel after a long day exploring the city is by switching on the TV. Understanding newscasters in Japanese may be beyond your level, but there are frequently subtitles shown on many TV programs. Also, you can flip through the channels and hunt for children’s shows which are easier to understand. I made heavy use of NHK’s educational TV (E テレ) which broadcasts great shows like ピタゴラスイッチthat use a wealth of pictures and diagrams to help learn word meanings. These will generally have simpler vocabulary, with slower speech and enunciation as compared to a TV drama. Even if you are very new to Japanese, if you watch enough TV you’ll start to pick up certain words. Of course, this is no comparison for actually living in Japan and using the language on a everyday basis. As for real-life conversation practice, your best bet is to make a penpal or other friend and meet them in Japan, since it will be much easier to talk without fear of making mistakes. If they happen to be learning English, consider setting aside time to speak in both languages, preferably at separate times since switching back and forth is not the best way to get immersed in a language. Even if you don’t have any friends or family in Japan, you can find many other opportunities to start up a conversation, whether it’s with the taxi driver, chef at the sushi restaurant, or even a clerk at a bookstore. At the bookstore, you can start with simple questions, like “雑誌はどの辺ですか？” and build your confidence until you feel secure to ask more detailed questions. For someone actively working don’t try to force them to have a long conversation, except for the taxi driver case where they should have some freedom to chat while driving. Even a brief interaction which involves both parties speaking can do wonders for your listening and speaking. Another option is to try and easedrop on natives speaking in places like stations or restaurants. While this isn’t the most polite thing to do, as long as you don’t make it super obvious you are listening in their direction it should be safe to do occasionally. If after listening to them you realize you are actually understanding much of what is being said, you can try to approach them and ask a basic question – maybe asking where a certain store is. Even if you happen to know where that store is, the interaction will help build confidence in your speaking, plus you’ll learn to comprehend their speech. Another idea is when you sit next to someone on a bench or in similar seating arrangement, you can give a simple “こんにちは” and if they answer back with a positive expression you can consider continuing the conversation. Though it’s a bit extreme, if you have a dictionary (paper or digital) you can have them point out words you don’t understand, though if they seem like they are in a hurry you should probably refrain from doing this. Going through the check-out process at registers in stores like bookstores (本屋) or convenience stores (コンビニ) is fundamentally straightforward, and can often succeed without any speech on your part. Just look at the price displayed on the register and pay out the required funds. However, several times I’ve been asked a question which I didn’t catch or understand, and it can be a bit awkward. If you’re totally clueless, you can try to get through the question by waving your hand back and forth while saying “いいです”, meaning simply “no”. If you’re a beginner to Japanese, I would recommend paying with cash. That is guaranteed to work (many places still do not accept credit cards), and you won’t have to deal with asking if credit cards are accepted. If you want to pay with a credit card, you can show your card and ask “クレジットカードで払えますか？” or “クレジットカードは大丈夫ですか”. Beware, however, that if the store doesn’t accept that card you may not get a simple “no” for an answer. I’ve heard phrases like “お支払いは現金だけになっています” or “クレジットカードはご利用いただけません”. This latter expression uses polite Japanese and is a bit convoluted, but means something like “We cannot accept the favor of you using a credit card”. You’re unlikely to hear something simple as “クレジットカードはダメですよ” which would be very impolite. If you do pay with a credit card, sometimes you’ll be asked whether you want to pay the entire amount at once. If you hear something like “一括払い” (いっかつばらい) just say “はい” (yes) to pay all at once. Regardless of how you pay, sometimes you may be asked “ポイントカードありますか？” (Do you have a point card? ), to which you can simply say “持ってません” (I don’t have one), or “いいです”. Also if you buy a small-sized book (文庫) then you may be asked about covering your book to protect it (usually free), to which you can respond simply “はい” (yes) or “おねがいします” (please). A final thing to be aware of is that the employees of stores often speak very quickly such that the syllables may seem to run together and be hard to catch. This is because they are trying to be as efficient as possible, and also because many of the things they say are set phrases which they can rattle off without thinking. One example of this is the greeting phrase “いらっしゃいませ” which you’ll hear in many stores as soon as you enter. If you’re unfamiliar with this type of speech you can try hang out in some stores and listen to the same phrases again and again until you get used to what they are saying. When in Japan, you can probably get by without paying that much attention to Japanese (at least in big cities like Tokyo). Or you can decide to keep your eyes peeled and ears open and absorb as much as possible. How much you learn is up to you. Just don’t forget that enjoying yourself is always priority number one! Picture: a directory from a shopping plaza. Most store names are written in Japanese as well as English.